The PILGRIM-Institution links education for sustainable development with the religious-ethical-philosophical dimensions of classroom education under the motto “living consciously, creating a future”. It focuses on securing a sustainable future by encouraging actions that make a difference and through a willingness to change the present. 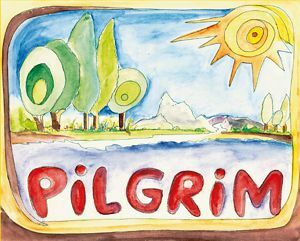 All state-maintained and private institutions can go PILGRIM – as a title, it means, that schools, universities, pedagocical academies can be members of PILGRIM. Updated version (2017), published by the European Committee for Catholic Education (CEEC). [> Télécharger le document en Français. Der Internationale Verband ist eine Organisation von nationalen Verbänden in verschiedenen Ländern Europas zum Zweck das evangelische Schulwesen in privater wie öffentlich-rechtlicher Trägerschaft zu fördern und die Werte evangelischer Erziehung zu bewahren. The international Association for Christian Education is an organization of associations from different countries in Europe with the aim to support the Christian Education in privat school as in schools under public law and to save the human values of Christian Education. La Fédération Internationale Protestante de l'Enseignement est une organisation d' Associations nationales des différents pays de l'Europe. Le but est d'encourager l'enseignement protestant en corporation privée et de droit public et de garder les valeurs de l'enseignement protestant. Het Internationaal Verband is een organisatie van nationale verenigingen uit verschillende Europese landen met als doel de bevordering van christelijk onderwijs en de instandhouding van de waarden van christelijke opvoeding. Der IV arbeitet zusammen mit ICCS und ist Mitglied von COGREE.